Brendan ponders a difficult question from the Pick Up and Deliver Guild: if you could have any game group you’d like and choose the games, what would the game day be? Text of the original question, from our BGG forum. What would your ideal game day be? 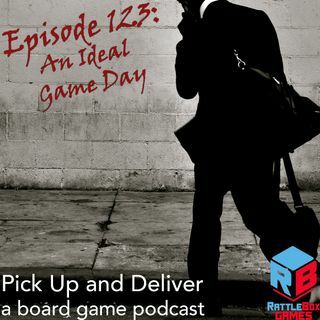 Drop by the Pick Up and Deliver Guild over on Board Game Geek, #3269 and let us know.